But what happens when things aren’t so good? 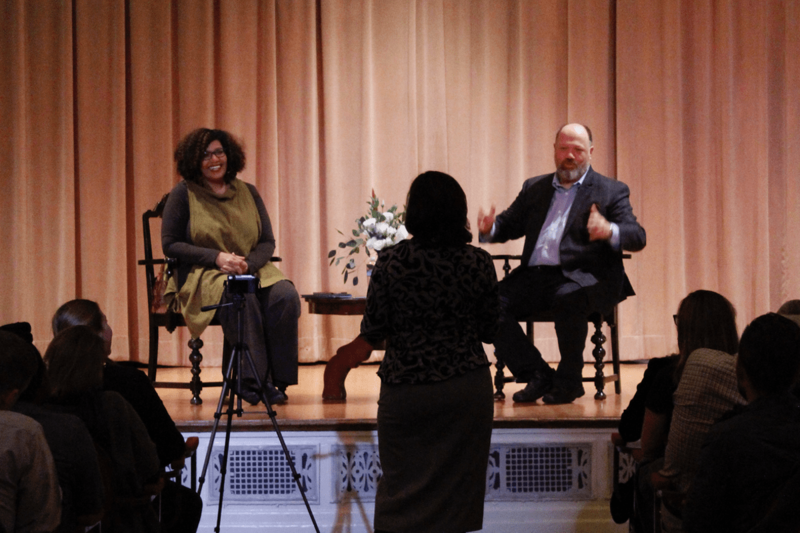 Harper, who is also a renowned speaker and columnist with Sojourners, recently came to speak at a Newbigin House Conversation for the Common Good. As a black evangelical Christian woman, she has occupied a space of wanting to hold onto her evangelical heritage, but also feeling abandoned by many of the people she considered her allies. It was in 2013 that things really started to change for Harper. That was the year that Trayvon Martin was shot and killed by George Zimmerman, the year that the Supreme Court nullified section 4 of the Voting Rights Act, which allowed states to revise their voting policies without federal oversight, the year in which food stamps got cut by upwards of $40 billion. Prior to that year, Harper hadn’t considered herself politically involved–but the events of 2013 set in motion a kind of fire and passion in her that continues to this day. If that’s the case, then evangelicalism certainly has something to say to us today. Harper recalled the Second Great Awakening, with people like Charles Finney and Sojourner Truth and Harriet Beecher Stowe––”all of these incredible people who were at the vanguard of the abolitionist movement who, themselves, were evangelical.” It was Finney who, in his revivals, suggested that America needed religion because it was still a dirty society, a society that needed to be washed clean. And all these years later, we find ourselves in need of washing again. This entry was posted in Conversations, Video. Bookmark the permalink.